Who comes to mind when you picture a college student? Perhaps you think of a young adult living in a dorm on campus, taking a full load of classes, and splitting their time between studies and the activities of college social life. 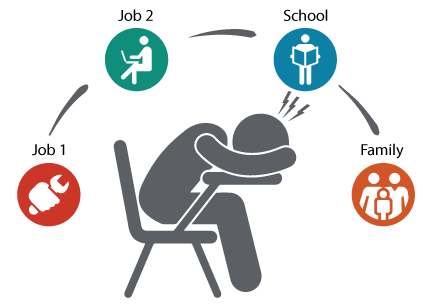 While this typical image is true for many college students, it leaves out a large population of adult students who might commute to campus, live at home with their children, and juggle multiple jobs, classes, and family life. They might also attend more than one college to get the classes that fit into their demanding schedules. These students, deemed “non-traditional,” are often adults returning to school after being out of the classroom for several years. Many students like these struggle financially, as they must sometimes make the difficult decision of deciding between paying bills to support a family and paying school fees. 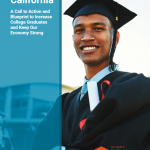 Economic hardship keeps many people from going to and completing college. 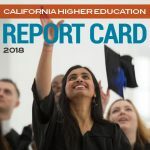 According to the Working Poor Families Project, a national initiative devoted to state workforce development, most low-income and poor parents in California work, yet are still only able to meet basic needs such as food, shelter, and healthcare. Of all the families who work and earn wages, one-third of them are low-income and 1 in 10 of them live in poverty. Lack of education is a major contributing factor to this financial instability. It prevents many low-income parents from being able to attain higher paying jobs. 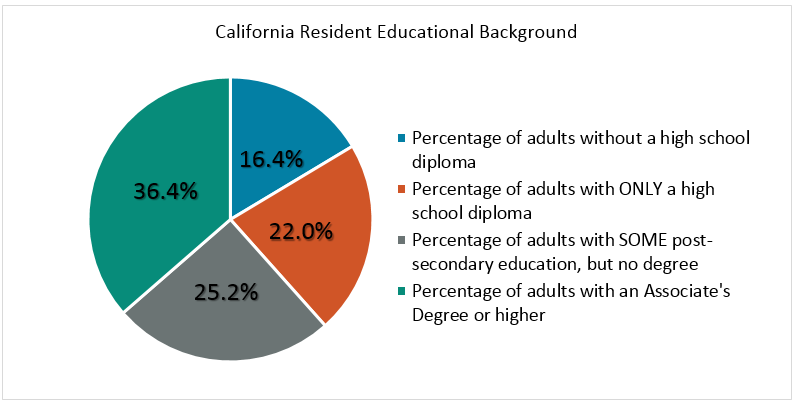 In California, only about one-third of the adult population has earned at least an Associate’s Degree and nearly two-fifths of adults have never enrolled in postsecondary education at all. So why wouldn’t these adults simply go back to school and join the ranks of non-traditional students? Many do not have the budget. For families already struggling to make ends meet, adding the cost of college is not an option. Additionally, returning students and students going to college less than half time are not eligible to receive state financial aid. 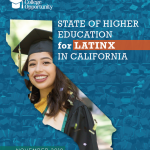 This policy creates a difficult barrier for these students to overcome, as the cost of college continues to rise and the value of federal funding like the Pell Grant, continues to decrease. Of course, low-income and poor students are not the only ones who pay the price. Growing demand for a more educated workforce requires that 60% of adults have a degree or credential by 2025. That means California must produce 1.7 million more degrees over the next decade. At our current rate of degree production, we will not have enough educated workers to meet our state’s workforce demands. 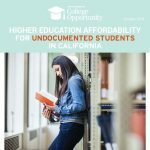 Additionally, research shows that for every $1 California invests in higher education, it will receive a net return on investment of $4.50. Our financial future depends on our ability to provide access to higher education. Returning students and part-time students who are low income and poor should not be left to shoulder the costs of college on their own. 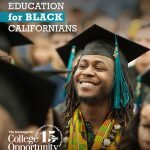 Supporting them with resources to earn a degree can pave the way for a brighter future for them, their families, and the Golden State. Low-income defined as a family with an income below 200% or double the threshold for poverty as defined by the U.S. Census Bureau. For this data, double the poverty threshold was $48,072. Family where all family members 15 or older have a combined work effort of 39 or more weeks in the last year or a combined work effort of 26 or more weeks and one unemployed parent looking for work in the last month.